Thank you for trusting us to serve your women’s health care needs. At our practice your medical care is our priority. We feel privileged to have the opportunity to provide you with the most experienced, compassionate and skilled team of physicians and nurse practitioners to serve your medical needs. Whether you are coming in for your annual preventative exam, need help with a medical condition, or you are welcoming a baby to your family we will strive to provide the most professional and personal experience. The physicians and other caregivers of Women’s Care Florida – OB & GYN Specialists look forward to a long term professional relationship and the opportunity to create a partnership with our patients by providing the best, most up-to-date care possible. Please take a moment to review our helpful tips to help prepare yourself for your appointment. Please do not hesitate to contact us if you have any questions. Please bring your insurance card with you to your next scheduled appointment. A copy of your insurance card is required in order for us to properly submit your medical claims for payment. If you do not have insurance, you will be considered “self pay” and will be responsible for the payment at the time of service. If your insurance company requires that a copay and or deductible applies to your visit, you will need to be prepared to pay at the time of service. We accept cash, check, debit and all major credit cards for payment. For pregnant patients and those requiring surgery, a billing specialist will assist you with your financial process. 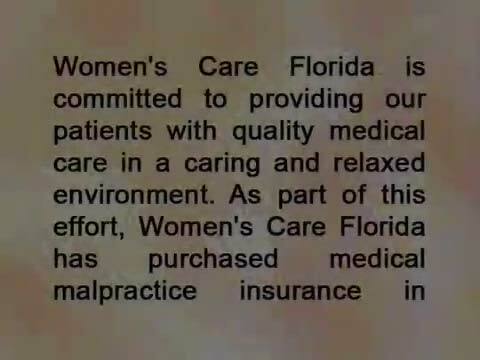 if you need to speak with a billing specialist before your appointment, please call 407-644-5371, or you may visit us on the web at wcfobgyn.com. You may go to the patient portal on this website at any time and create an account. This will save you time if done prior to your first visit. Please keep a record of your user ID and password for future reference. We have the ability to use this portal for secure email communication with you, scheduling future appointments, prescription refills, and online bill payments. Patients may also use our portal’s “ask-a-question” feature to ask our medical team specific medical questions. Our practice does carry malpractice insurance coverage. In order for us to offer the liability coverage our patients deserve, Women’s Care Florida, in partnership with our professional liability insurance carrier, First Professionals Insurance Company (FPIC), now has a binding arbitration program to settle all professional liability claims. Through this arbitration program our patients, as well as our physicians, will benefit from a more prompt and efficient method of claims settlement in the unlikely event that such a claim is necessary. To learn more about binding arbitration, click on the links located at the bottom of our web site and view the binding arbitration video. All patients are required to view our binding arbitration video prior to your schedule appointment. New patients are asked to arrive 15 minutes prior to their appointment time so that you can complete the paperwork and watch the binding arbitration video in the office. If you go to the patient portal and complete our new patient forms, as well as watch the binding arbitration video ahead of time, it will help make the check-in process much more efficient. We are aware that everyone is busy and your time is valuable. We make every effort to keep appointments on schedule. You can help us stay on track by checking in by your appointment time or giving us a courtesy call if you are running late. We will make every effort to see you as planned, but reserve the right to reschedule the appointment if you are going to be more than 15 minutes past your originally scheduled time. One of the advantages that we have with the size of our group is the ability to make same-day appointments for those who have urgent medical needs. 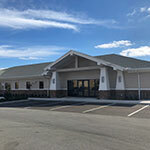 There is a physician at the Winter Park office location who is assigned daily to see those patients. At our two satellite offices (Southwest Orlando and Oviedo) we usually have a few “work-in” appointments available each day as well. Please call the office 24 hours in advance to cancel appointments, failure to do so may result in a fee of $25.00. If you have an urgent question regarding your medical care after hours you may contact our office number 407-644-5371 which will be directed to our answering service after hours .A physician from our practice will return your call. If your call is too urgent to wait for a return call or you find yourself in an emergency situation please go directly to Winnie Palmer Hospital to be seen by one of our on call physicians. If you have a pharmacy that you prefer to use, or if you have a mail-order plan, please bring this information with you to your visit. We are able and will be happy to electronically send or fax your prescriptions for you. Please enter the Patient Portal to request prescription refills. Please make your requests at least 48 hours in advance of when they are needed.